Saturday, 4 March, along with almost 50 other regular Live More Event participants we travelled down to Marlborough College Malaysia in Johor. 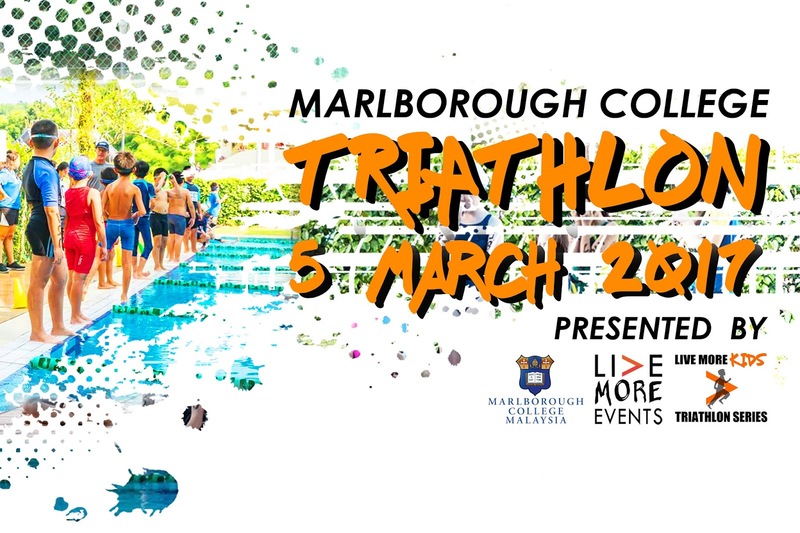 We were there to set up the inaugural Marlborough College Malaysia (MCM) Triathlon and run the kick off event in our 7 part Series for 2017. Everyone else was there to check out the course for the next day’s race, attend the skills clinic and then rest up before the race on the Sunday morning. Although, I do know a few that were also squeezing in some fun at Legoland with their families (located just round the corner from the College) and get down to the coast to enjoy some of the excellent fresh fish restaurant’s that the area is famous for. Despite it being the inaugural event for us at the College and the first of the 2017 Series. This event already has an exciting history to it. The event was first conceived thanks to a chance meeting with Mr. Ed Hawkins, one of the College’s Faculty Members. This happened back at the beginning of 2015 in Langkawi. 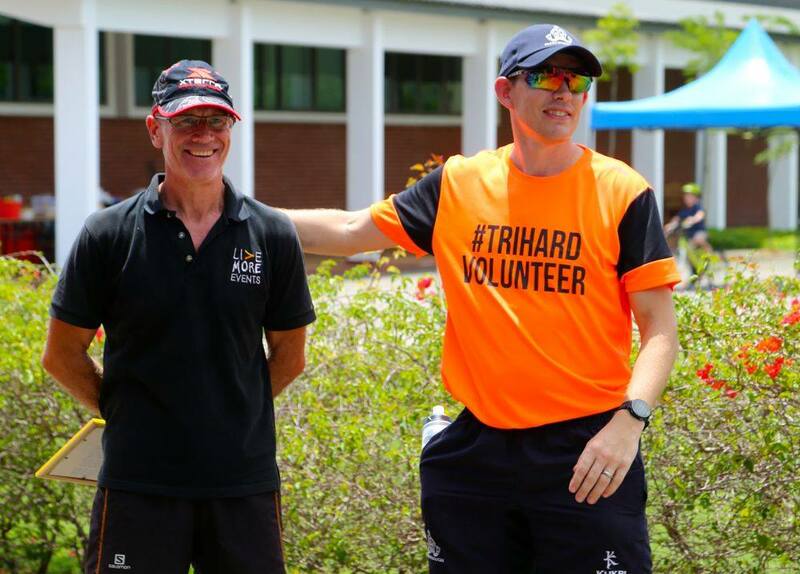 It happened because Ed, who is a bit of “legend” in triathlon circles, was in Langkawi to race the XTERRA Malaysia event that yours truly had designed the course for and was Race Director for. As is Ed’s way, he wasn’t just there to participate though; he was there to qualify for the XTERRA World Championships in Maui later that year. This was the main reason why our initial meeting can best be described as a rather weird one. As it happened to be whilst he was laying at my feet mumbling rather unintelligibly as I was trying to get him into the recovery position and clear his airways while we waited for the ambulance I’d radioed in to whisk him off to hospital. I’d managed to ascertain enough information from him however to understand that he’d collapsed courtesy of the toxins from a rather nasty jellyfish sting that thanks to a bit of traditionally daft “race head” wisdom he had tried to ignore and not get treated in transition for fear of losing what he felt was a podium place after the swim. Needless to say, as he went into overdrive on the bike to consolidate that position on the steep incline that racers had to ascend immediately after leaving transition, these toxins went round his body and then started messing around with his neurological system causing him to lose the use of his arm and start to lose his vision. Thankfully, somehow he got himself back to us in transition. and at that point his body gave out on him. You’ll not be surprised therefore that during that initial meeting, we didn’t strike up a particularly close connection. Although I was readying myself to give mouth to mouth and CPR had I needed to. Thankfully that wasn’t called upon as our paramedics arrived and got him off to hospital. Where I thought he still was, until someone tapped me the shoulder at the awards dinner and said “Hi I’m Ed, I just wanted to thank you for getting me into the ambulance earlier” when clearly a much closer relationship was established which has I’m pleased and honoured to say has continued. The idea of Marlborough being a venue for a Live More venue though remained smoldering in the back of my mind until another chance meeting with another faculty member at the College. This was Duncan Ogilvie who was participating with his family at our Nexus event last May. Thanks to Duncan’s enthusiasm as an individual participant and as a passionate parent to a very talented young son called Jay, Duncan took it upon himself to get me an invite to present a proposal to bring Marlborough College into this year’s Series to The Master of the College. Now whilst I’m not easily intimidated these days having presented to Boards and large numbers of people, I still had the job of getting this idea past The Master of the College and I do not mind admitting I found the grilling I got from him at this initial meeting and the follow up meeting somewhat intimidating ;-) At the same time though, I was also really excited by the absolute commitment and seriousness with which our proposal was met with by The Master and the rest of the Faculty at the College and how we hatched a plan together to integrate the event into College’s house and boarding culture. As a consequence, we got the official nod late last year to proceed and agreed a date for March for the College to “kick off” the 2017 Live More Kids Triathlon Series. A big part of how this event happened is because Bob Pick (aka The Master) placed a huge amount of faith and trust in us and for that I would like to give him a BIG Live More shout of appreciation for this. I’d also like to include here that Bob could not and would not have done this without the support and sponsorship that Duncan Ogilvie (Principle Contact Point & Sponsor) & Ed Hawkins (Technical Support) gave to our proposal and personal credibility. As a result, I’d like to give them a BIG Live More shout of appreciation too. Like any form of leadership and great teamwork it’s not just about top down leadership that makes a dream work. It is about all bits of the engine working in harmony towards one goal and I have to say that Marlborough College have rewritten my playbook in terms of how we organise our Live More Events going forward as we have been so grateful for so many other people’s contributions that I fear I cannot here list everyone. The most crucial ones both before and during the event were Harry Harkins (Facilities Management), Justine Walker (Marketing & Event Coordinator for the College), Jon Riley & Ali Halls (Head of Sports for Main & Prep Schools – although could have careers as Sports Commentators as well if they ever decide to turn their back on teaching after the great job they did Emceeing the event for us), Jon McNaught, who was our Bike Course Coordinator, Sarah Wright, who headed up the Pool Safety team, Matthew Storey & Allan Crump, who shared the Run Course Coordinator role and Rob Storrey, who assisted Duncan with their Transition Coordination team. On top of all of these key people who didn’t just volunteer on the day but helped to encouraged people to chip in as volunteers or step up as participants we were also blessed with an army of helpers that included many students, parents and other members of the College’s staff from Lewis and his team of catering staff, Muniandy and his team of security guards as well as all the friendly and accommodating Nepalese maintenance workers who were out at 6am on Sunday morning helping to set up the water stations. In the end it was as much a bottom up as much as a top down approach and everyone met in the middle to help us deliver what I genuinely believe was our best event yet. It wasn’t perfect by any stretch of the imagination and I can see great opportunities to improve but the bottom line was that part of being able to Live More is the buzz you get from doing stuff with other like-minded people and thanks to the entire Marlborough our selves a huge buzz driving home on Sunday evening. So, in short, we really were incredibly blessed with being able to feel a part of the Marlborough Team that all worked tirelessly to make the day the success I believe it was and for this we’d like to thank them all once again. Whilst on our TQ’s I’d also like to add in a couple of other special thanks to two other important partners who made this event possible. 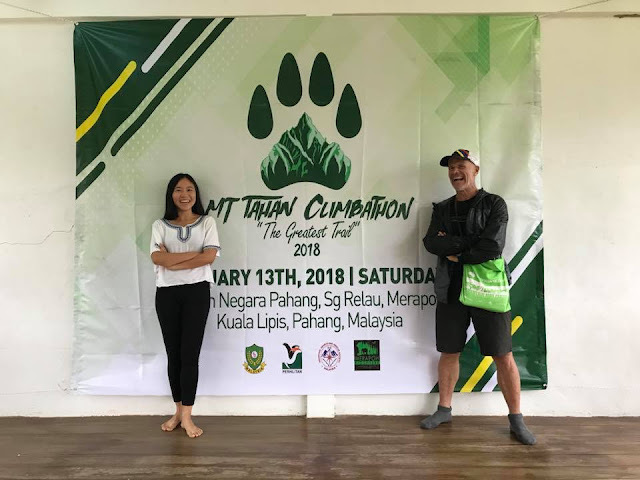 This is to Roy Yeow and his team at Checkpoint Spot Asia or registration portal and timing partner and to Mark Chua and his team at Ultron our apparel partner. Well with a slight hiccup to our timings thanks to a combination of some tardiness from our outsourced medical services team getting to the venue and setting up and yours truly rabbiting on for a bit too long in the Athlete Briefing, we kicked off the event about 10 minutes behind schedule. As we do, we started with the U6’s the youngest of whom was Yap Yu Qing at 2 years and 10 months. As it wasn’t a particularly big field at Marlborough we took the opportunity to experiment by introducing a biking element to the usual “Splash and Dash” format. 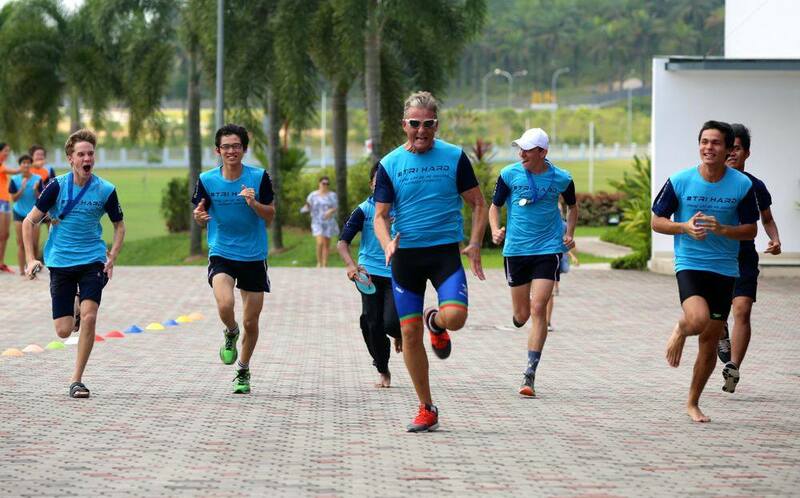 We used some borrowed Balance Bikes from local parents that Duncan had brilliantly sourced for us the night before and everyone watched on and watched on with excitement at what we believe are Malaysia’s youngest ever Triathletes. This proved to be a runaway success and will be adopted as the standard operating procedure from here on in for our events replacing the previous “Splash & Dash” that will only now happen when everyone else does an Aquathon at Alice Smith and ISKL events. Thanks to the amazing work that Margaret Wing does for us as our default Start Check In Coordinator, before I knew it we had the U8 Girls lined up in the pool and ready to go. Margaret is one of the parents that had travelled down from KL with her son and his friend who race in the U18 category. However, since these Boy’s are very able and experienced Margaret has made it a habit of volunteering for us and truly excels in organizing our participants in the right age groups and waves. In Marlborough where she wasn’t quite so sure of the surroundings she had 2 other Volunteers (apologies Ladies your names have escaped me) from the College’s Faculty who helped Margaret get things so under control that before we knew it we were ahead of schedule and having to chase up some of the parents and teachers so we could start them a bit earlier and minimize the amount of Midday sun that we were all exposed to. Having got all the races underway and with just a few reported incidents in the form of punctures on the bike course. After checking in with Jon out on the Bike course that all was in order there I relocated myself from the pool and the start line to the finish line. The scenes here were quite amazing as the sense of camaraderie and spirit of sportsmanship was so heavy in the air that the usual tropical humidity was not noticeable. 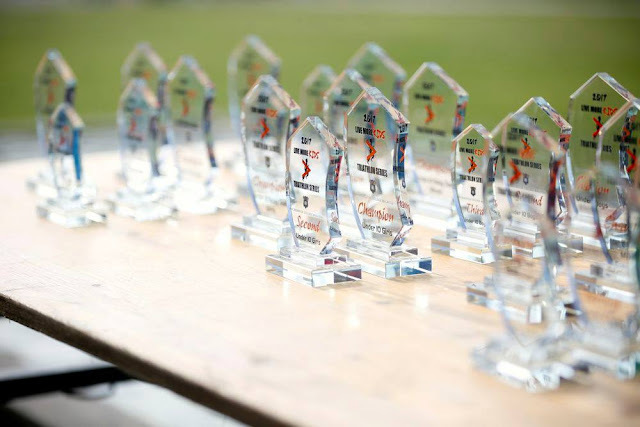 All the runners were getting so much encouragement as they went out on their final lap and, in particular the relay team’s runners and the Teachers and Parents that had entered the Open category were not just cheered over the line but were being carried along almost literally as their supporters, family and/or team mates were practically carrying their “jelly legs” as on Teacher described it up the last 100 metres and over the finishing line with them all more often than not crossing the line together. Personally, since other commercial events like IRONMAN had forbidden families and friends from crossing the line with their Ironmen or Ironwomen relatives or friends that they have been supporting all day, I had not witnessed scenes like this since 2009 when I was fortunate enough to have done my first IRONMAN prior to this ban being introduced. As a result, whilst the achievement at our event may not have taken so long, the energy at the Fishing Line was as great a spectacle as the one I experienced in Langkawi in February 2009 and which caused me to get hooked to the sport and triathlon lifestyle. I’m seriously hopeful that a few others catch that same bug and the College’s new and evolving Multi-Sports Club see’s a spike in new members who want to start training for next year’s event. As well as this, I was also grateful for the fact that we were all showed a new side to the sport of Triathlon at the Marlborough event. Traditionally, Triathlon’s are an individual event but thanks to the willingness of the College to embrace the event as an Inter House competition and particularly the creativity and commitments of Duncan, Jon and Ali, (the respective Heads of Sport for the Main and Prep School’s) we were treated to a wonderful new dynamic to the event which really enhanced the Live More experience for us and we sensed that the participants felt like this too. On the day we acknowledged the 1st 3 finishers in each category and obviously subsequently the winning House has also been recognised. We’d like to acknowledge everyone that took part as whatever your time it was in the main a personal best for you and most likely, something that previously you did not think was possible. Because of this there were many stand out results in addition to those podium placings and there’s one that captured my heart and the hearts of everyone else around the pool that morning and that was the massive effort that Rizwan Abeer put in during the swim leg as despite struggling through his allotted 4 laps he never once thought of giving up and this was recognized by everyone there who gave him a really rapturous round of applause and appreciation for his efforts helping him leave the pool feeling like the Champion that he and everyone else was on that day. Despite all these wonderful reflections and memories though, as usual, the race was far from perfect in my book. Transition could have been set up better now I have seen it up rather than just drawn on a piece of a paper. We could have swept the bike course around where the new Prep School is being built and created some covers for the metal strips that the security gates slide on which I suspect were the main cause of the relative large number of flats that people received versus our other events as well as lots of other tweaks and refinements. Overall though we have had an awesome experience seeing so many new people get to have a go at a Triathlon and from what we could tell enjoy the experience. We will be asking for feedback from them in a variety of ways and are already working on ways to take the event to new levels next year. See you next in Nexus.